Orders generally process and ship by FedEx within 24 hours of receipt Monday-Friday (excluding holidays), unless indicated otherwise on the item page. Orders weighing less than 2 pounds usually ship USPS (United States Postal Service). The quoted shipping rates are for FedEx Ground deliverable addresses only. Orders going to rural addresses, APO's FPO's, ALASKA, HAWAII, WESTERN USA, and USA possessions like Guam, Puerto Rico, American Samoa, etc. (basically places that will have excessive shipping costs) may have additional shipping charges added. Call, or we will contact you about the charges prior to shipping. 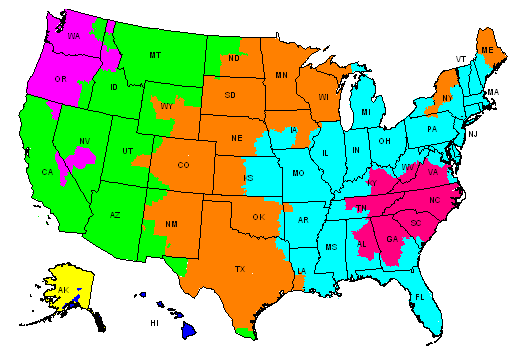 If you qualify for free shipping to these areas, we will cover the first $9.95 of the shipping cost. Orders shipped to South Carolina will be charged 6.0% sales tax. We currently DO NOT ship outside of the USA and its possessions. The shipping address must be complete and accurate, as standardized by the US Postal Service. In the event that an incorrect or incomplete address is entered for the shipping address and FedEx bills us for an address correction charge, an $15.00 fee will be applied to your credit card. The Post Office will "try" to find you before shipping the item back to us. USPS returns take about 3 weeks to wend their way back here before we can reship it to your correct address. The most frequent errors are incomplete address, (be sure you have added "Street", "Drive", "Ave.., "Trail" etc...), missing direction ("North First Street" or "South First Street"? ), typos in the house number and zip code, and oddly enough, incomplete town names (Is it Lovelyville or North Lovelyville). Upon receipt of your items, you have 5 days to report to us any damage due to shipping. You must have the tracking number and retain all shipping materials (carton, packing materials, etc.). All FedEx shipments are fully insured and we will work with the shipper to facilitate the pickup of the damaged item for inspection and the shipment of a replacement. Free replacements or reimbursements will not be made if reported after 5 days. For loss: If you haven't received your package in 7 days, contact us RIGHT AWAY for tracking. FedEx insurance will no longer cover packages that were shown to be "delivered" more than 10 days prior. Their insurance pays for the replacements. 1) YOU can file a claim with the U.S. Postal Service. You will need to provide the package for their inspection at your local branch office and they will process your claim. We can send you any paperwork that you may need to facilitate your process. The damaged item can be replaced with the claim money that you may receive from the USPS. 2) WE can file a claim on your behalf. A replacement will be sent to you while we wait for the USPS to reimburse us. For loss: If you haven't received your packages in 2 weeks, please contact us so we can try to track it, or start a loss claim. USPS works a little slower than FedEx, and will generally make you wait 30 days before filing a claim. If we get the heads-up sooner, we can start a tracer so they may be able to locate it and avoid a claim.